Why and how to watch the quest to find "the fittest humans on earth"
The Crossfit Games kicked off on July 24 in the the StubHub Center in Carson, California, and will run through the weekend in a quest to find the “fittest humans on the planet.” Whether you’re a diehard fan of these workouts or just curious to learn more about one of the hottest new fitness trends, this is a great opportunity to see some seriously athletic people show off their strength and stamina. Competitors represent 115 countries around the world and range in age from 14 to 60 years old. Crossfit is a wildly popular fitness program that combines exercises from various disciplines to create a high-intensity workout. 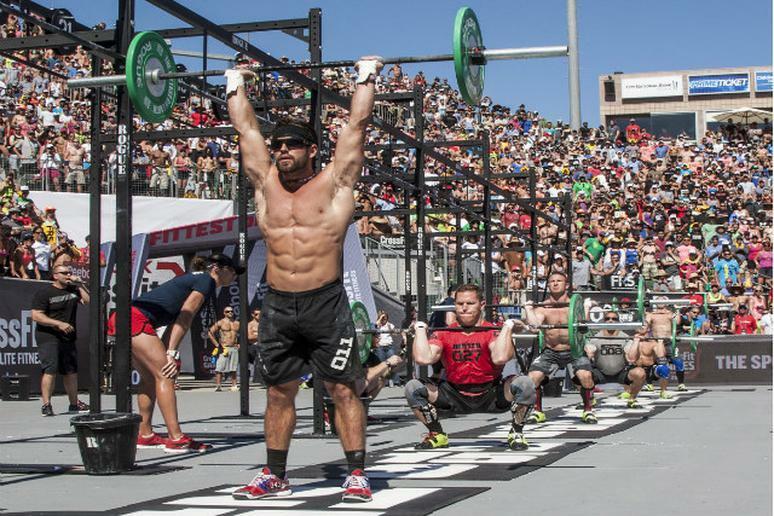 Unlike elite competitors in other sports, most of the top ‘crossfitters’ maintain an intense training schedule while balancing a full-time job and without additional incentive from sponsorships. At the Crossfit Games, competitors face challenges that include weightlifting, running, swimming and gymnastics movements. Since the inaugural event in 2007, the Games have become one of the fastest growing sports in the United States, according to Forbes. The most intriguing aspect of the competition is that exact events are kept secret from the competitors in order to truly test their overall fitness. This year, participants will complete 15-20 workouts over a grueling five-day period. They earn points based on their number of repetitions and how much time it takes them to complete each workout. A grand prize of $275,000 will be rewarded to the fittest man and woman. Last year Rich Froning became the first competitor to win back-to-back titles, but he’ll have to overcome stiff competition to retain his crown. If you’re near Carson, California, you can buy tickets to the games. Everyone else can stream the competition live on ESPN3.com or check out real-time results, videos and photos on Twitter, Facebook and Instagram. On Sunday, the final hour of competition will be broadcast on ESPN 2 from 4 p.m. to 5 p.m. PST.